Smooth creamy chocolate and peanut butter are a match made in heaven, and when you’re in the mood for sweet treats and a nice high, this recipe is exactly what you need. The steps are perfectly simple and require some ground marijuana. So grab your apron, your grinder, and your appetite and let’s get cooking! Take 2 muffin tins and place the paper liners in each open holder, this is what you’ll be using to form the cups. Next pour chocolate chips into a microwave safe bowl and microwave them for about 2 minutes, after 1 minute stop and stir the chocolate and then let it continue to cook for the remaining minute. Once the chips are finished in the microwave, immediately add your finely ground Mary Jane and stir it into the chocolate making sure to mix them together very well. Using a spoon, fill your already lined muffin tins about halfway with your chocolatey weed mixture and use the spoon to spread the chocolate evenly all around the inside of the paper liners. Then pop them into the fridge for a while to chill out until they become firm. In a seperate mixing bowl, stir together the sugar, peanut butter, and salt. 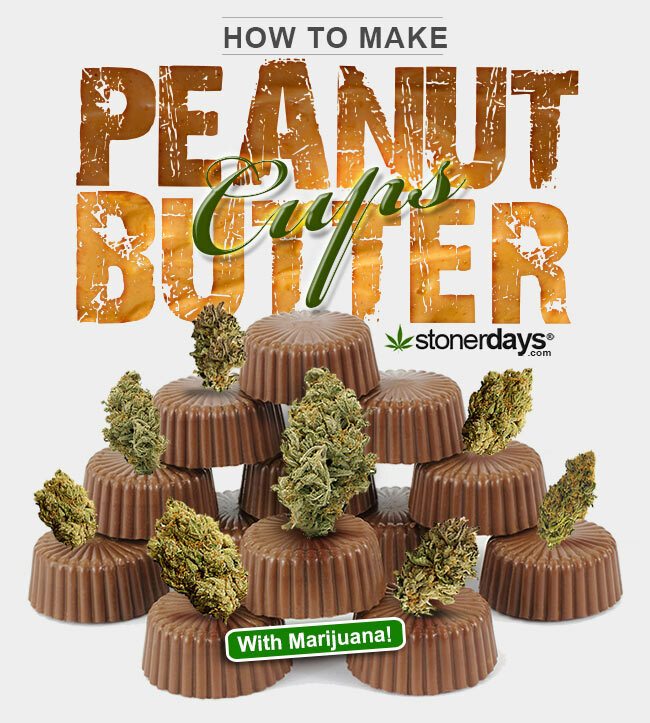 After everything’s mixed in well fill your now cool chocolate paper liners with the peanut butter filling and spread the rest of the chocolate over top making sure to spread it all the way to the edge of the paper liners “closing” your marijuana peanut butter cups. Place your cups back into the fridge for about 10 minutes to harden again. Once they’re cool it’s time to endulge yourself in a chocolate peanut buttery high. After all, there’s no wrong way to eat your cannabis!